Do you like to watch? Check out these videos. MT One™ is a white-label cloud API powering smart devices with a unified platform for Web services. Providing a normalized, RESTful interface to popular 3rd party and native Internet services on a catagory-by-category basis, MT-One allows TV, auto, app, and device makers to create compelling, task-driven, OEM branded experiences controlled by voice, touch, & proximity and shaped by contextual agents. Use the same client with different services on different models. Please contact us for the most up to date service profile. MT-One Context Brain functionality generates a model of the user based on their behavior and then uses that model to deliver information and shape responses according to rules set by the system and the developer - across all service categories. For example, over time, the Context Brain learn that a user's favorite food is Mexican and their second favorite is Indian. In response, a Context Brain can trigger the automatic presentation of Mexican and Indian restaurants along the current path of travel if the user is on the road and the local time is around 11:45am. In addition, that same data can be used by a Context Brain to present only Mexican and Indian restaurants to the generic voice query, "find a restaurant nearby" instead of presenting a list of cuisine options. The native proximity service for MT-One is a full solution for creating applications that use Bluetooth Smart beacons for micro-location experiences. This service gives the developer the ability to create places and subordinate locations, assign both simple and complex trigger rules for those locations, assign beacons to those rules, upload and store content, and retrieve actionable data based on beacons perceived by the client. The proximity responses become even more powerful when coupled with a Context Brain. For example, instead of delivering an ad for women's running shoes to every passer by, the Context Brain can limit the messages to only those people who are female, work nearby, and visit a gym regularly. MT-One is designed to work seamlessly with voice control across all services. To simplify the use of voice, MT-One has native functionality that is coupled with the voice category and 3rd party service adapters to create a full voice UI solution where the device can simply submit audio and get a fully actionable response. MT-One provides all functionality in the cloud, including grammars, conversation flow, resolution of ambiguous requests, and one-shot data fulfillment. Voice responses and conversation flow can also be coupled with a Context Brain to further enhance the experience. 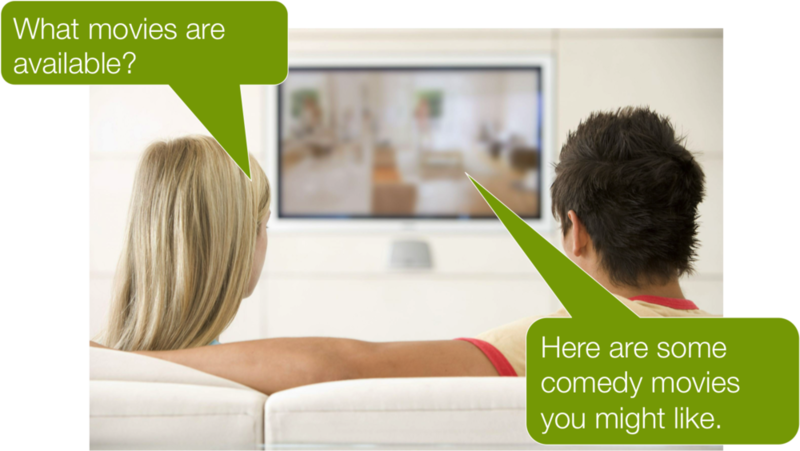 For example, if the system knows that the user's favorite film genre is comedy, a Context Brain can then present comedy movies in response to the generic query "what movies can I watch?" No matter how "smart" your smart device actually is, MT-One scales to make it part of a powerful, connected solution. With core IoT functionality of telemetry gathering, inbound & outbound event triggers, and device firmware & settings management - all running alongside Web service integration - MT-One powers devices ranging up from mesh beacons, to connected light bulbs, to whole-home voice controlled infotainment systems. By providing a normalized platform in the cloud, MT-One enables a mix of heterogenous devices to function as a singular whole.